Lunchtime at the office! I already polished off my fruit and my container of carrots, sweet peas, and sharp cheddar. Pictured here is the bowl of steamed, seasoned veggies that rounds out my meatless lunch. I also have a container of pumpkin and sunflower seeds that I’ve mixed together for a snack that’s slightly salty, nutty, and satisfying. That container will last me all week, and two bags of the seeds have lasted nearly a month. 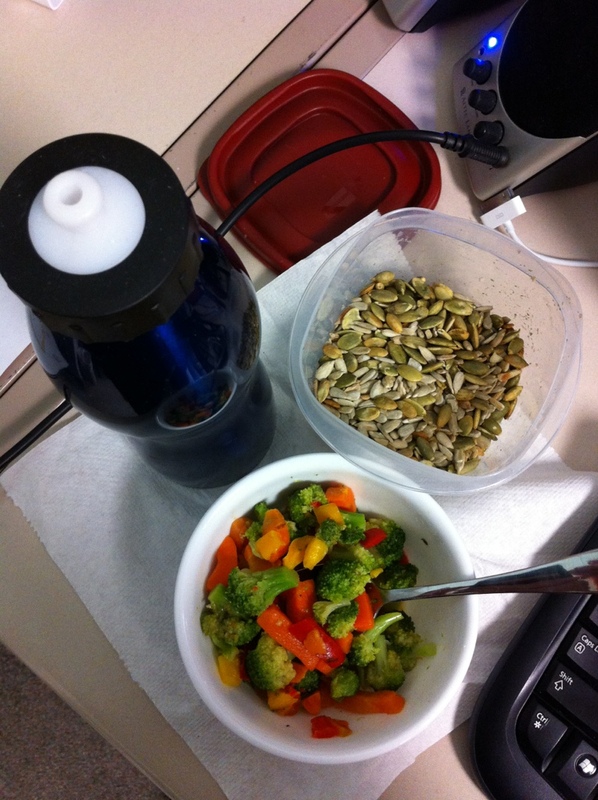 This entry was posted in food and tagged food, habit, low carb, paleo, Photos. Bookmark the permalink.